With its over-the-top martial arts action, snappy catch-phrases (“Deductive reasoning!”), and a production style that makes Ed Wood look like a consummate professional, the early-‘90s samurai series TOP KNOT DETECTIVE has cult classic written all over it. It’s almost a shame that it doesn’t actually exist. 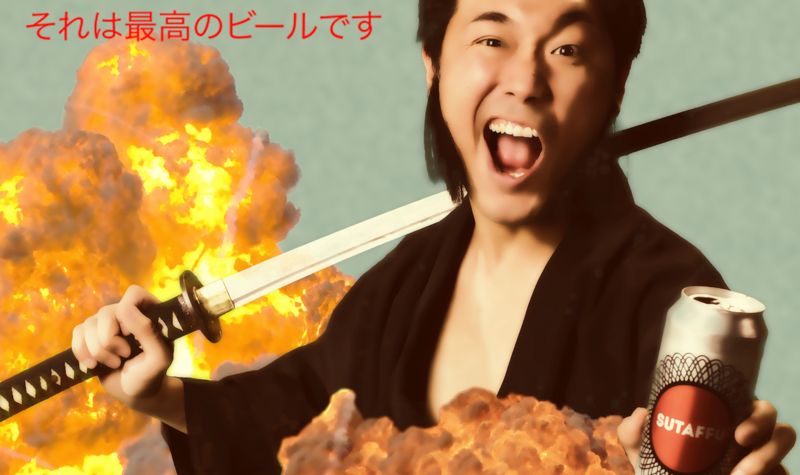 This one-of-a-kind mockumentary takes you through the story of the greatest show that never was, introducing the egomaniacs, J-pop idols, and bizarre megacorporations behind a camp artifact that’s so unforgettably ridiculous, you’ll wish it was real. Aaron McCann (Irish born, Australian raised) experienced early international success online with HENRY & AARON, viral videos IT’S A SNAP, and SET YOURSELF FREE. Collectively Aaron’s YouTube videos have gathered more than 23 million+ views. He continues to write and develop feature film projects, short films, as well as working as a freelance music video and commercial director. He is also a rotating cast member of the International Emmy Award-winning ABC2 series #7DAYSLATER. TOP KNOT DETECTIVE is his first feature film. Dominic Pearce is an Australian born, Singapore raised multi award-winning director and editor, and a leading digital compositor, colourist and experimental musician. Dominic is a founder and the managing director of independent production company Blue Forest, and provides high quality content to the fields of short and long form, television, music video, advertising, and contemporary and public art projects. TOP KNOT DETECTIVE is his first feature film. "...stop whatever you're doing and watch TOP KNOT DETECTIVE." On the closing day of his beloved roller rink, Robo Greaser does his best to skate through his final shift.